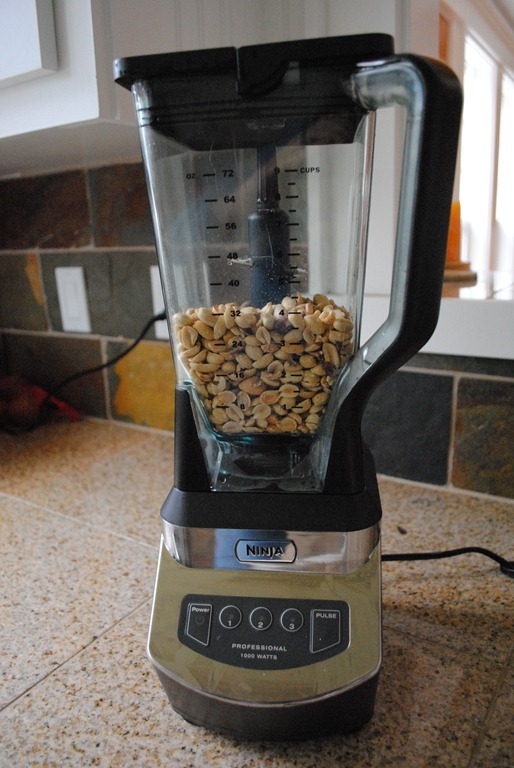 First, we need our ingredients: 16 ounces (that’d be a pound) of unsalted shelled peanuts. 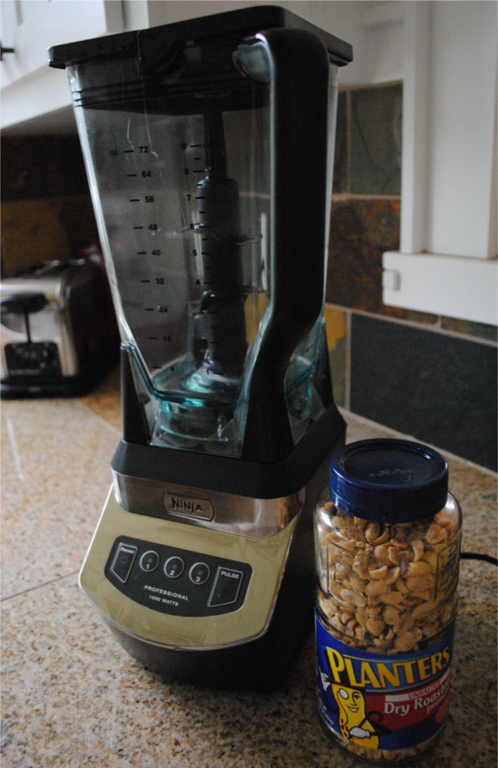 You can use salted peanuts too, but I prefer the no sodium aspect of unsalted. Safeway had a sale on peanuts recently for 2 for $4.00 on Planters, so that’s what I have. 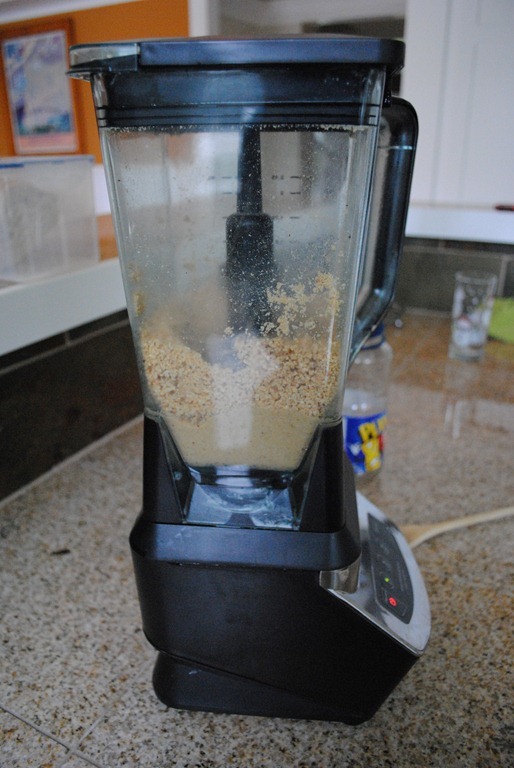 You can probably find them even cheaper in the bulk section or at Trader Joe’s. 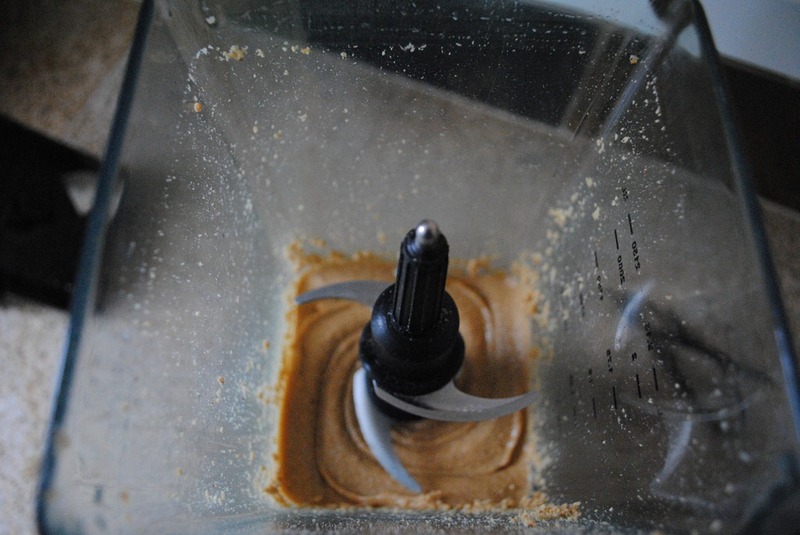 Blend on “1,” for a Ninja, or “Low” for other brands, until you have a peanut butter consistency you like. Seriously, it’s that easy. It took me a total of three minutes. 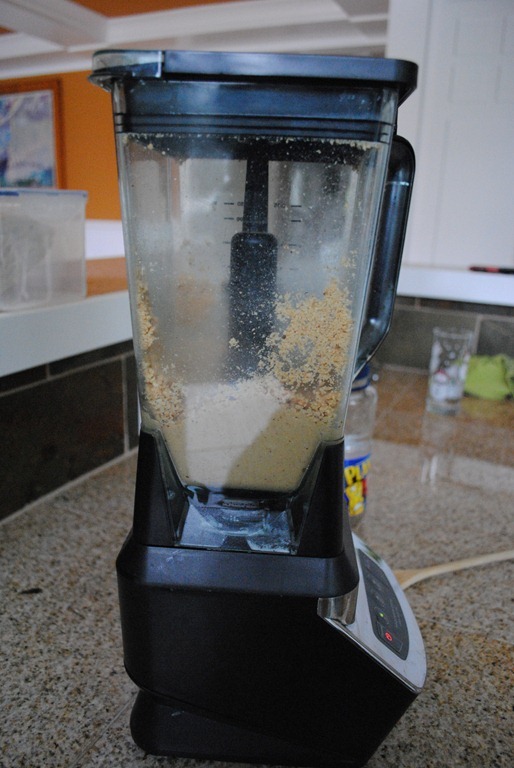 If you have a food processor, count on 6-10 minutes, and be sure to scrape the sides down every so often. 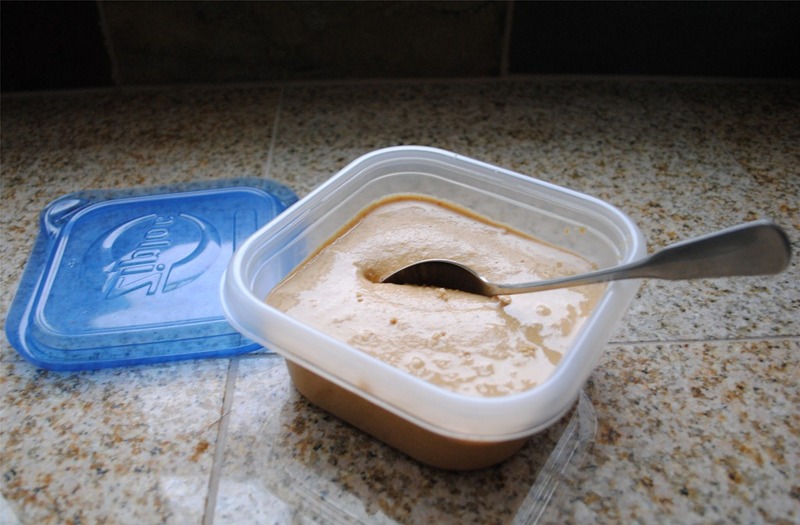 Finish it off by scooping into a very fancy container and storing in the fridge. You can see I went with something super high end. 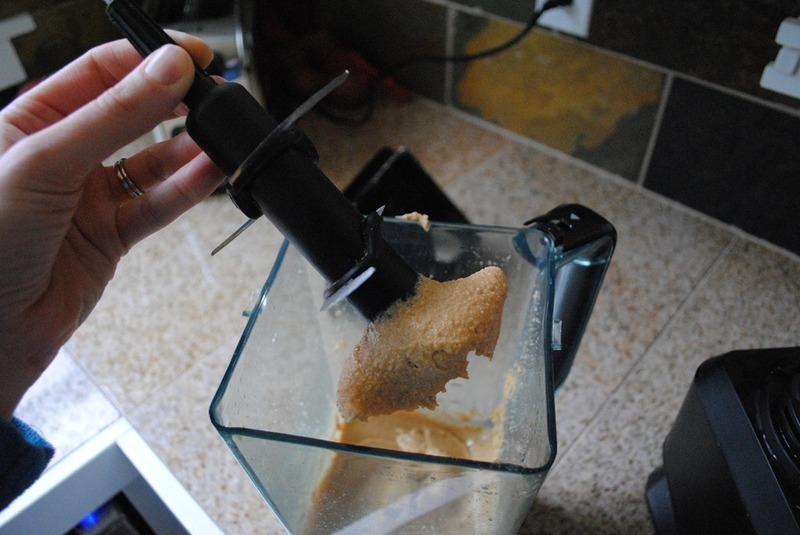 There really isn’t anything better than fresh homemade peanut butter. 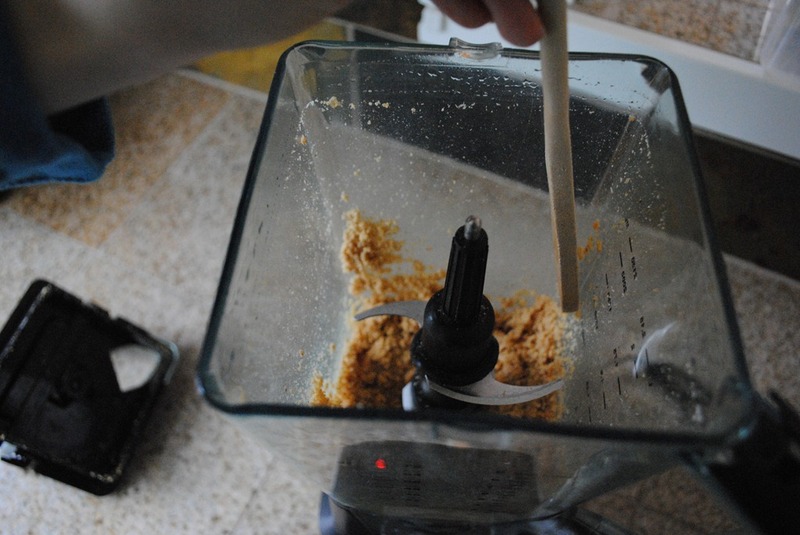 I get my grandkids making it when they are over, and then we bake up into some nice peanut butter cookies.